The presence of your employees is easily visible on the schedule. 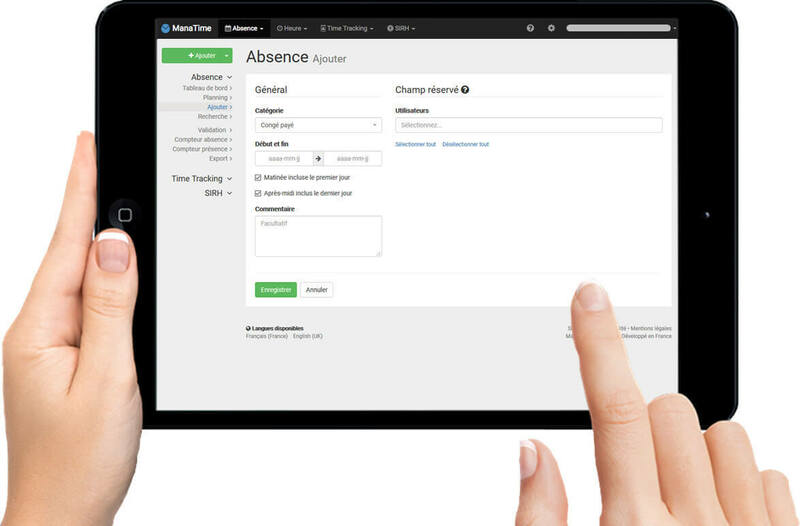 With ManaTime, you ensure the minimum attendance rate of your teams. ManaTime planning software is the ideal solution for managing in the presence of employees within a company. Its easy-to-use interface ensures a quick and intuitive learning experience, which will suit everyone. Holiday management via the schedule is becoming very easy. If necessary, our software package offers a complete online help that will accompany you step by step during the learning of the functionalities. Unlike existing solutions specialized in planning and paid holiday management, ManaTime can be used by an unlimited number of users. With our premium offers, you choose a rate based on your use and not on the number of users. Contact an advisor to adapt a formula to your needs. To facilitate the configuration of ManaTime, we suggest that you fill in this Excel file and we will integrate all your users into our leave planning software for free. Technical assistance is available by phone to help you get started with our planning software. ManaTime is available on iPhone, Android and all media (computers, tablets and smartphones). You can use it anywhere, anytime and enjoy the benefits of the cloud (100% SaaS). All you need is an Internet connection to enjoy all of ManaTime. 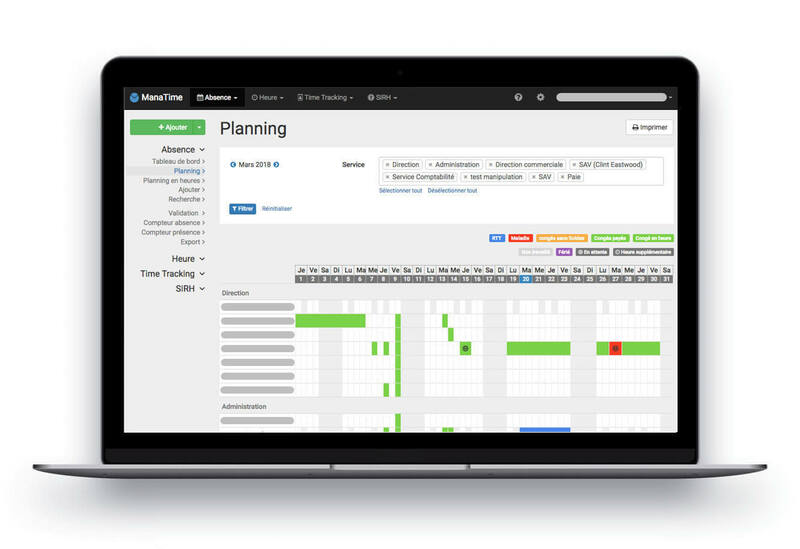 Improving a company's efficiency in holiday planning management becomes possible with the ManaTime planning software. Its concern for dematerialization in human resources management is a major element that will seduce you. A dematerialized leave management process is indeed a guarantee of reliability and speed within the company, which allows substantial savings to be made on a daily basis. This is the ideal way to optimize your time in planning management in your company. ManaTime is accessible to all employees from any medium with an Internet connection (fixed computer, smartphone, tablet). 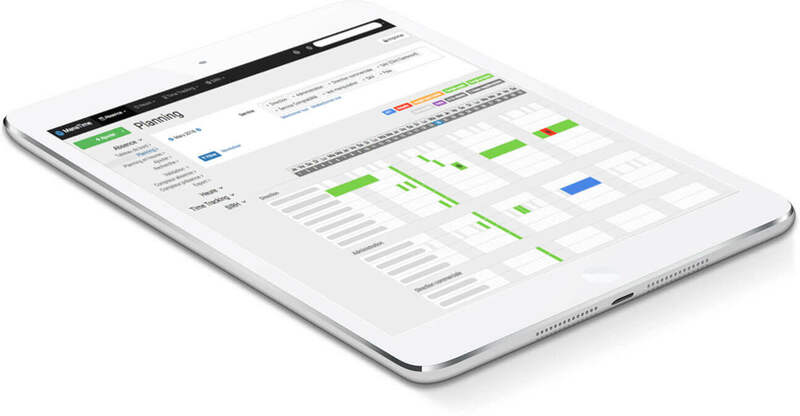 Its clear and ergonomic dashboard will then allow you to visualize in a few seconds, and at any time, all absences within the company. This online solution offers the advantage of being fully customizable according to the needs of the company. It is possible to add types of leave or contracts, create several services with administrators, but also to develop customized modules. ManaTime planning software adapts to all situations, to become the ideal ally for companies of all sizes.